Discussion in 'Dovetail Live Article Discussion' started by TrainSim-James, Mar 26, 2019. That was quite an informative write up. I can't wait to get home from work and drive this again. As with the M8's when they were first released, the M7A's suffer from low fps. It becomes a slideshow when there are multiple M7A consists about. According to someone within the community, the headlights cast shadows which causes low performance. Also, the M7A should have been given the same blended braking/acceleration mechanic like the LIRR for TSW. The standard at which it is now, kinda makes it a pain in the neck to operate. Aside from that. The biggest drawback for me about the route is the length, as well as the fact that the Shoreliners III's we have had for nearly 5yrs now, are still being offered with nearly every DLC that used them in some form or another. NJT included. Older Shoreliner carriages and cab cars would have been nice. Perhaps some in the NH red stripe would have been welcomed as well. Also really hoping the M1/3a's make the appearance eventually for the Hudson, as well as the M2/4/6's for the NYNH. I was told to post this here because some of the details in the article isn’t quite correct. First off, the M7/As were never meant to replace the M3/As, they were only supposed to replace the M1/As. 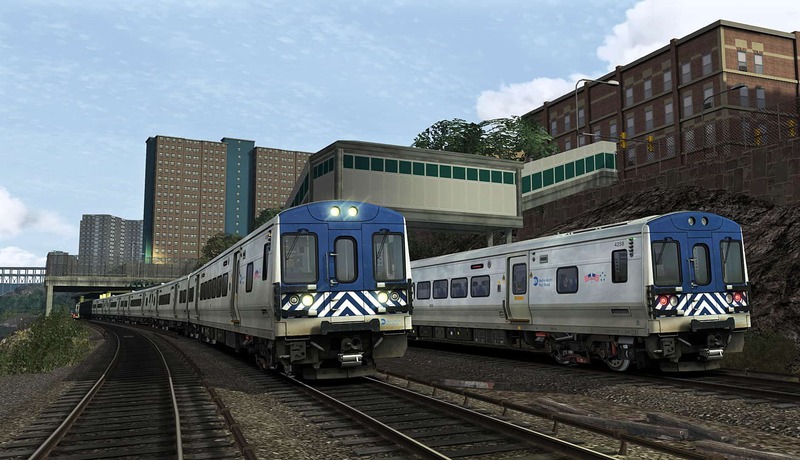 Second, Metro North has officially held off on receiving the M9 EMU’s. They instead, took time to retrofit their current M3A’s to make them much nicer and a closer passenger experience to the M7A’s. They have also equipped all M3A units with the proper safety equipment so it will be cleared for PTC activation. As rare_common_sense said, this DLC is quite great, but has some major caveats. The length is really not a standard TS19 route length and it really appears like they tried very little to fix up any past equipment unlike what they’ve done in the past. I’m also quite disappointed with the M7A, it’s really more of an M8.2 then an M7A. It still has the same issues as it and also the functionality is horrendous compared to the M7 in TSW. I hope the M7A is fixed up because it is just not as enjoyable as I thought it would be. Along with a hopeful expansion to Poughkeepsie, I would really love an extension up the Harlem line to Southeast. There is already track to as far as Mount Vernon West, and since DTG showed us with the Hudson line that they care not about redoing previous areas like Grand Central, Park Avenue tunnels, Harlem 125th etc. we could just assume they’d continue new from Mount Vernon West. Also like Rare stated, the older M units are vital to the continuation of this content and they should get on to making those trains ASAP. I would even prefer them to make it before any planned expansion they have and release the routes after it rather then waiting for them to be finished. Okay, So the reason I'm posting this up is that there are a couple of other things about Hudson as well as the New Haven route, that wasn't simulated correctly. The trestle, for one, was done incorrectly, because, for the most part, there are no guard rails on it, and where there are, they are very low. Meaning even from a passenger view by the window, one could see the road (Park Ave) below alongside the trestle on the outer tracks without visual obstructions. And of course, the gradients which, in the both the Hudson and New Haven iterations, are depicted as leveled, which is certainly not the case here., as you can see in this photo. I'm sure this had to been brought up to you guys at some point during the production of the Hudson line.